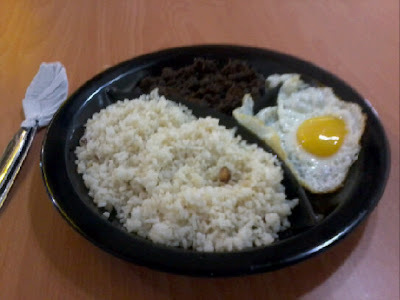 For 3 days now, I've been craving to eat one of my favorite Pinoy foods - tapsilog. 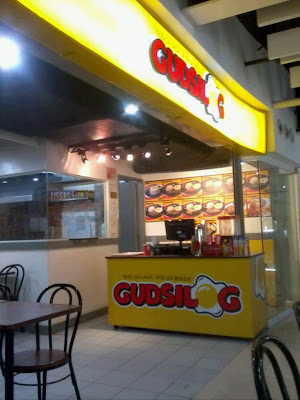 So finally, before going home from work this afternoon, I went to Southgate Mall in Alphaland Magallanes and tried Gudsilog's tapsilog for only Php 45.00 pesos. Their tag line: "Gud sa lasa, Gud sa bulsa"
My verdict? "Not so good na Tapsilog". Mura, but it didn't meet my expectations in terms of taste. You get what you pay for child. craving ko rin ang "tunay" na tapsilog dito sa saudi. isa sa mga kakainin ko kaagad yan pagbakasyon ko. actually you don't... I know a place in Ortigas Extension it's called Anne's Best Tapsilog I've tasted in my life and it's only P50. Blows Rufos and Tapaking out of the water which are priced significantly higher.